Nowadays, a lot of teenagers were glued to their cell phones while out and about. The heavy social media use was known to have made negative effects on young people’s self-esteem as an example. Recently, a new study found another way that cell phones (microwave emissions) are harming the minds of adolescents. In a study published in the Environmental Health Perspectives journal, it showed that high levels of exposure to radiofrequency fields or RF-EMF can hurt memory performance in the areas of the brain that are exposed when a person talks on their cell phone. A study, with a similar conclusion, were also conducted in 2015. It used twice the sample size of the previous one and with the use of different wireless communication devices, researchers were able to update information on the RF-EMF absorption range of adolescents. 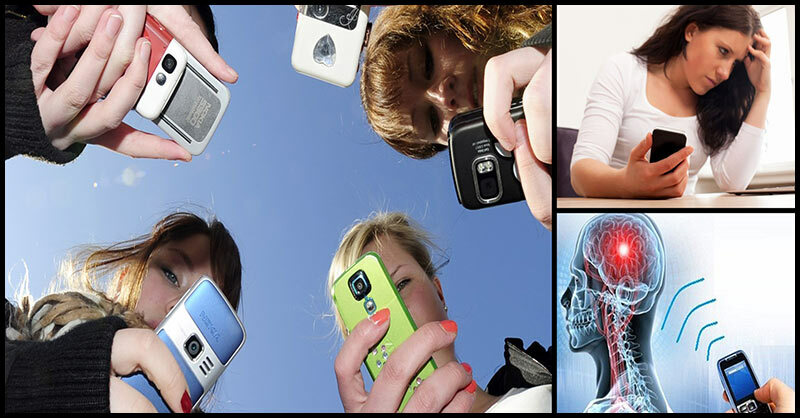 The most relevant source of exposure to RF-EMF to the brain is by using a cell phone close to the head. Around 700 adolescents aged 12 to 17 participated in the research. Scientists from the Swiss Tropical and Public Health Institute looked at the relationship between RF-EMF exposure from wireless communication devices. Along with their physical and psychological health, participants of the study answered a questionnaire assessing their usage of mobile phones and media. Afterward, they carried out computerized cognitive tests. The researchers also used smartphone time activity apps that were used while the phones were set to flight mode, cell phone user data provided by phone operators, and portable measurement devices known as exposimeters with integrated GPS to link people’s RF-EMF records to specific activities and places. The researchers found that, over the course of a year, the cumulative RF-EMF brain exposure from the use of cell phones can negatively affect the development of adolescents’ figural memory. This type of memory is mostly located in the right side of the brain, and the problem was more pronounced in those who held their cell phones to the right side of their heads. This research finding is significant since this is the first epidemiological study in the world to estimate the cumulative brain doses of RF-EMF in young people. On the other hand, only marginal RF-EMF exposure was caused by other types of wireless communication usage like browsing the internet, sending text messages, and playing games. They were not linked to any memory performance problems. Dr. Roosli suggests that in order to minimize the risk to their brains, young people should use speaker or headphones when making calls, particularly when a cell phone is working at maximum power or network quality is low. He added that scientist doesn’t know yet how RF-EMF, in the long term, can affect brain processes. Do not leave your cell phone in the bed or on your nightstand. Instead, be sure to place it several feet away from your bed. Do not carry your cell phone around your pocket or close to your body in any way. Always keep your phone in airplane mode or turn it off completely when you won’t be using it.